Successful promotion of the style. 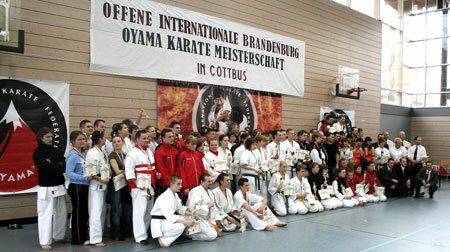 The 1st Open Brandenburgian Oyama Karate Championships in semi-knockdown took place in Cottbus, Germany. 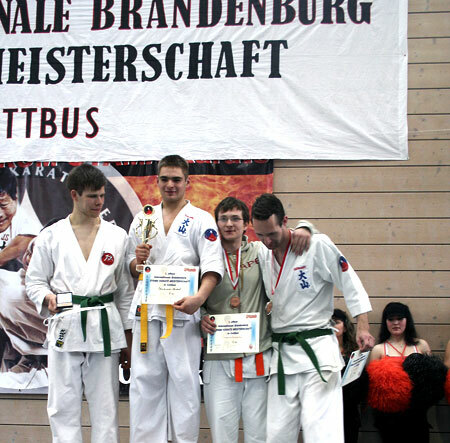 The unique tournament that promoted Oyama Karate style in Germany was hosted by Doitsu-Budo-Kwai e.V. 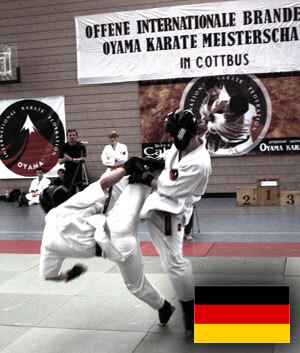 Cottbus Club and Sensei Andrzej Tomiałowicz 3rd dan, the country representative of OYAMA IKF in the Federal Republic of Germany. The Niedersorbisches Gymnasium sportshall gathered 93 participants from 16 clubs. Shihan Józef Pietras 5th dan, the main referee of the championships, on behalf of Shihan Jan Dyduch 7th dan, the President of OYAMA IKF, handed an occasional letter to Mr Frank Szymański- the Mayor of Cottbus. Shihan Pietras also handed congratulation plates to the organizers of the competition: Mr Carsten Augsten, Mrs Christi Herold and Sensei Andrzej Tomiałowicz.